How many of you own your domain name? Meaning are you in control of your domain another company or service registered for you? If that management company goes out of business you could be stuck like Chuck. While updating a site for a client recently we discovered the domain was registered in another companies name. A scenario like this can become a major nightmare if the person that initially registered your domain name becomes unreachable. Death of registrant, out of business, etc. If your business domain is registered in another person or company name, better have it transferred into yours asap! A domain is actually leased for a years time. Come renewal time someone has to renew it or risk loosing the domain. Most registrars will hold a domain in a pending deletion status for 30 days. After that amount of time the registrar will either drop the domain allowing someone else to register it. If it’s considered a desirable name the registrar might hold on to it and put it up for sale as a premium domain. Also with a premium asking price. I have seen registrars put domains up for sale for many thousands and even more. It just all depends on how valuable the domain is. We suggest contacting whoever registered your domain and have them transfer it into your name. Most internet service companies that offer domains with hosting or website building actually own the domain and might not give it (legally) to the site owner. It’s still best to inquire if they will transfer the domain into your name. If the original domain registering party is unwilling to transfer your domain name, ask if they will make you the administrative contact. That is the next best thing other that actually owing it yourself. The administrative contact has the power to transfer that domain to another registrar. It’s the next best thing to owning it. Just be sure to keep whatever email address you use active. I do not recommend using an email address that is active on your domain name. If your site goes down so does your email. If your email goes down you will not be able to verify your domain ownership. Windows live mail, or any other leading anonymous web email provider is good for this task. Just be sure to keep your account active by logging in at least once per month. A domain name has 4 sections that decide who has the power to manage tasks within that domain name. Self explanatory, the person or organization that registered the domain. The admin contact has the power to change any other contacts, or transfer the domain to another registrar. Self explanatory, this individual or organization gets the bill to renew the domain. This person or organization has the power to manage the domains name servers, and any other technical details within the domains DNS. We strongly recommend if someone else registered your business domain name. You should at an absolute minimum be added as the domains administrative contact. If something happens to the registrant you have the power to edit the other 3 contacts to make and other necessary changes. Another tidbit before i close. Keeping valid domain contact details is a must. I.C.A.N.N. (Internet Corporation for Assigned Names and Numbers) is a nonprofit organization that is responsible for the coordination of maintenance and methodology of several databases of unique identifiers related to the namespaces of the Internet, and ensuring the network’s stable and secure. It is imperative to keep your domain contacts information valid at all times. If a contacts emails start bouncing the registrar has the power to turn your domain off. 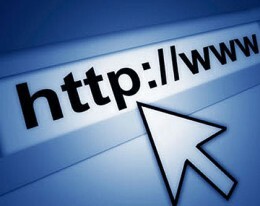 While your reading this go to domaintools.com and query your domain. Verify all your contact information is valid. If not go in and update it. If your domain was registered by someone else, try and have it transferred into your name. And don’t forget you have to renew at a minimum of 1 time each year. Most registrars offer discounts for multiple year registration.